assisted living in the clean air of Northern California. Contact us to learn more about senior living at Regency Place. Welcome to Regency Place, an independent living, assisted living, and memory care retirement community in Sacramento, California. Regency Place welcomes you at the front door with familiar sights, sounds and aromas of home. There is lively conversation in the parlor, laughter in the library and a helping hand from our caring staff when you need it. Located in a residential neighborhood south of downtown Sacramento near Elk Grove, Regency Place features a variety of lifestyle options for senior residents. 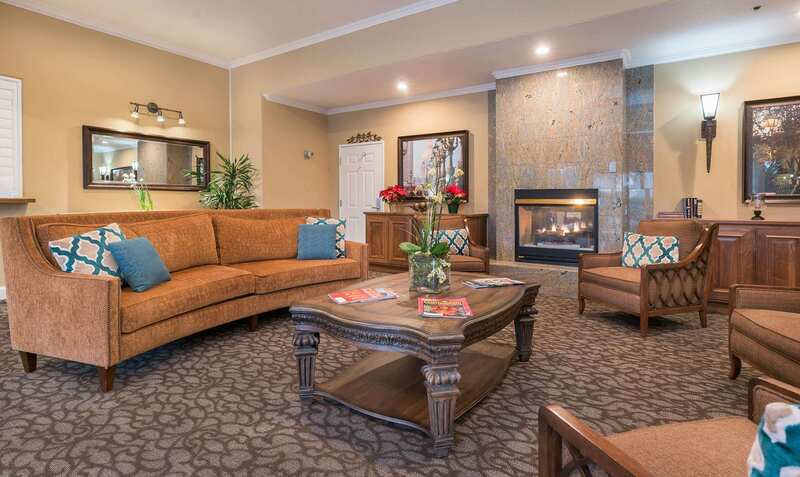 Our assisted living residents select from studio and deluxe studio apartments. Our independent living villas offer one and two-bedroom floor plans with full kitchens and washer/dryer hook ups. With our outdoor patios, walking paths and beautifully furnished common areas, Regency Place provides attractive settings for socializing with family and friends. Regency Place is the ideal choice. Browse through our website and give us a call to find out more about everything Regency has to offer.